PBS’ Idea Channel just released an episode called “When Does Play Become Work?” Which, in part, talks about the stacking up of culture and the work of consuming it. Seems an appropriate video to put here given how over stacked folks can feel. I am creating consumables too! Although perhaps a little bit further away from the dominant hegemony given no big producer is producing the things. Move along, no money to be seen here! ?… though a girl can dream. 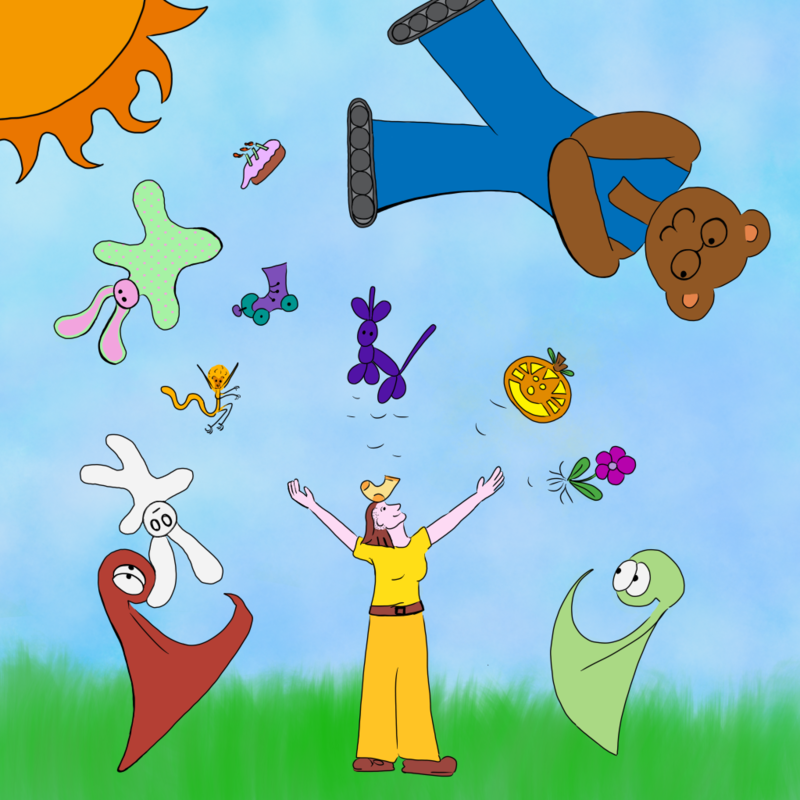 Liz throws her arms up in the air and many characters of the Things fly through the air! └ Tags: letting go, shake it off, Unburdening, webcomic, wheeeeeeeee!